Many settlements have appeared as a result of uncontrollable land seizures. Therefore, local authorities find it hard to solve a range of issues and to legalise land plots. 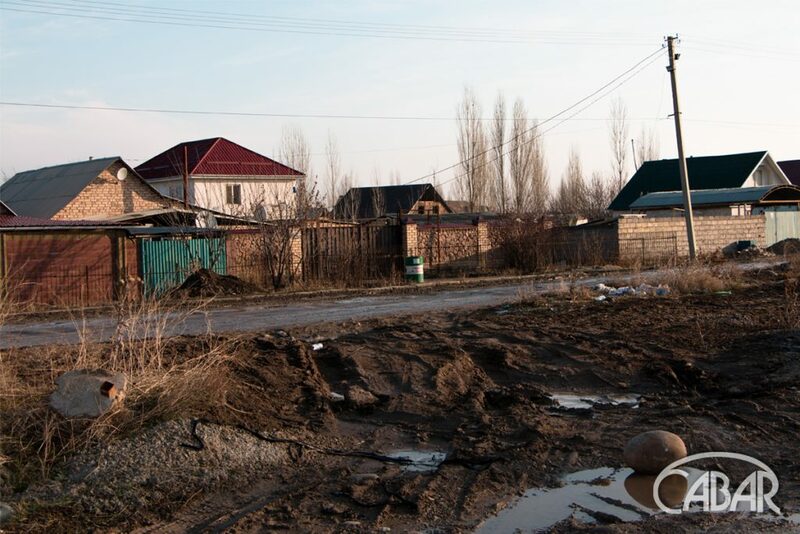 After the 2005 events, migrants from all the regions of the country have seized land plots without permission near the Dordoi market and built their houses there. As a result, many settlements have emerged. 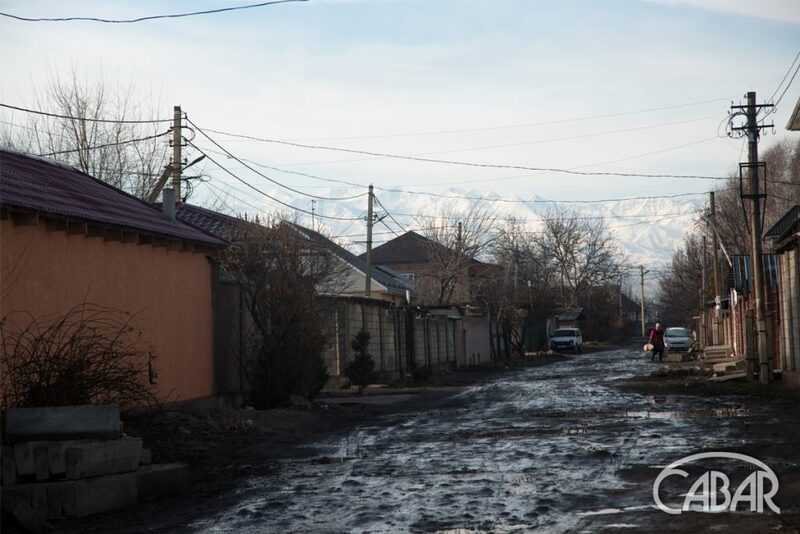 One of them, Ak Zhar, consists of 43 streets. 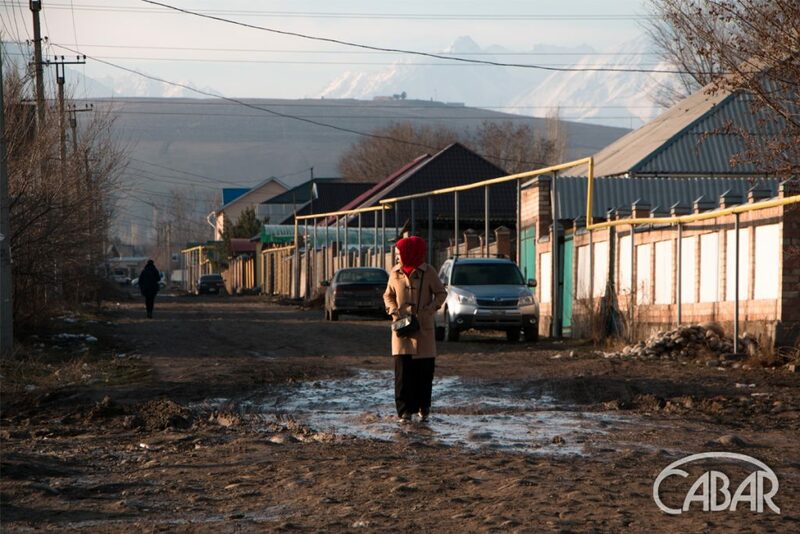 According to approximate estimates, more than 15 thousand people live here. 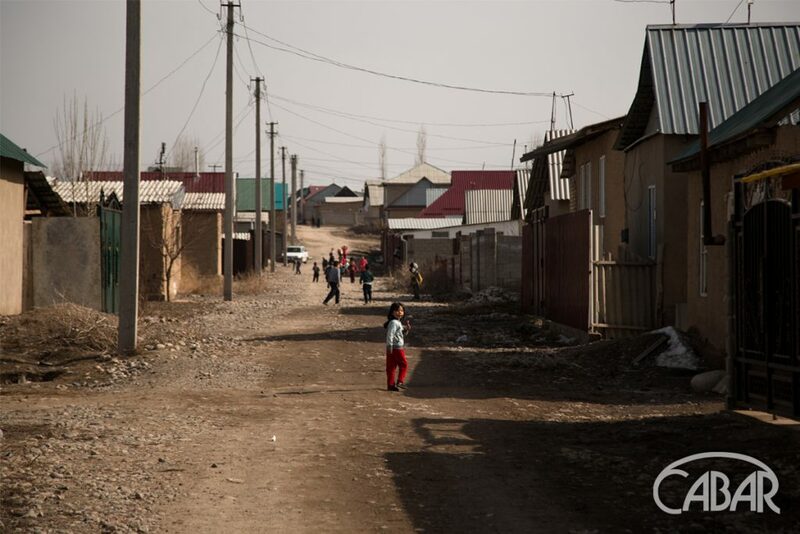 This settlement has no school or kindergarten, yet it has two mosques. Maybe that’s why streets are full of little children. 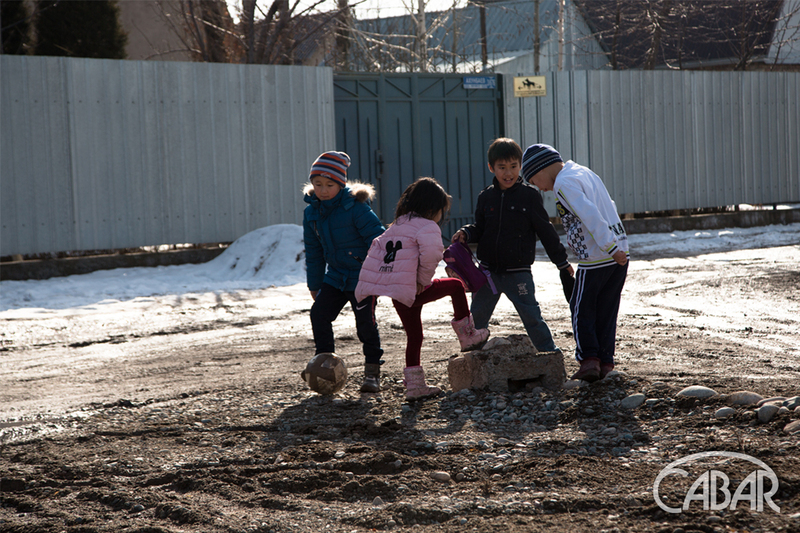 Fourth-grader Madina (to the right) and her friends use a partially constructed building as a playground. 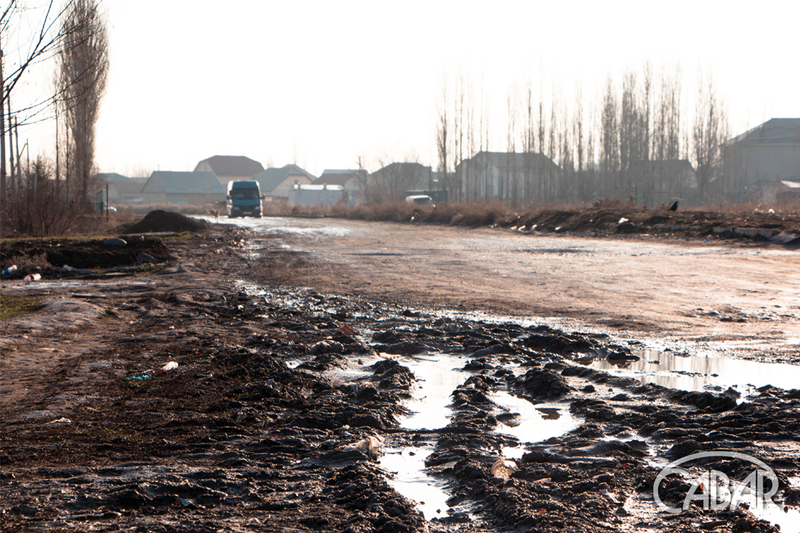 There are no roads but dirt and dust here, which become a mess in rainy season. This rule was introduced at school to keep the premises clean. This procedure is established in all educational institutions of new settlements. 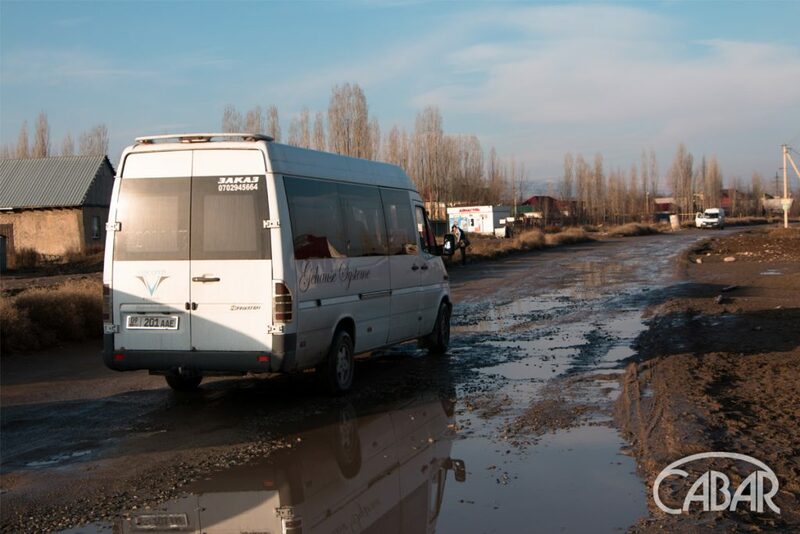 Mars Duishonbaev, a driver of taxi bus No. 130, has been a driver for 5 years. 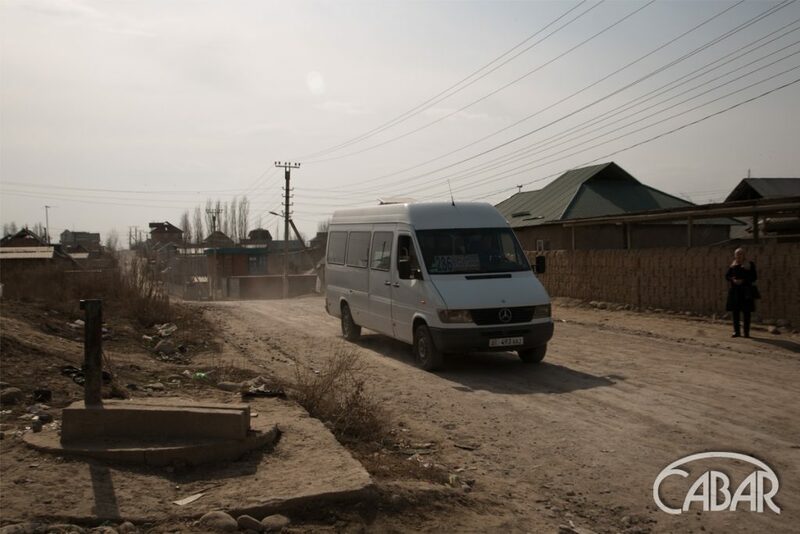 He drives people from the city to Ak Zhar. He says drivers have to collect their own money to repair the road in the settlement. “The money we collect annually is used to level local roads. Otherwise, it would be difficult to drive a car here. Now it has become a bit easier compared to the past. But when it rains, roads again become full of potholes. It results in short life of vehicles. Just recently I’ve spent 4 thousand soms to repair my car. I’ve had no other option because I need to work. When it’s sunny, it becomes dusty, when it’s rainy, it becomes sleety. That’s how we live,” Duishonbaev complained. He never resents dirty footwear of passengers because he understands it’s impossible to get rid of dirt once you live in a settlement. Archa Beshik is one of the first settlements near Bishkek. Now it has about 40 thousand residents. But gas supply works started only in 2017. 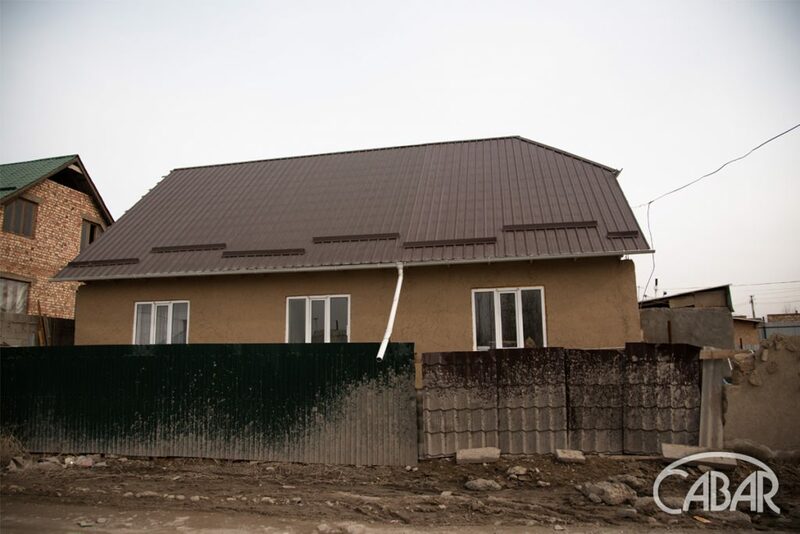 Now 6 thousand households are provided with gas, but many streets have been dug up during such works and it’s impossible now to bring them to their initial condition. 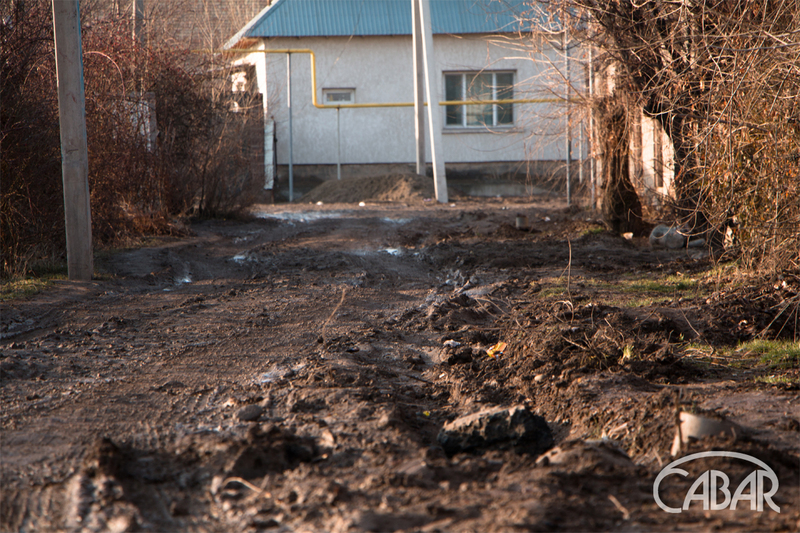 Soil is sandy and soft here, and after snow and rains puddles erode soil. Local residents complain that they have lived in mud and sleet for 2 years. A driver from Archa Beshik, Sheraaly, also said that he has to collect money with other drivers to level local roads. According to him, it’s almost impossible to drive a light vehicle in these roads. Despite the 30-year-history of Ene Sai settlement, the road problem is still unsettled here. 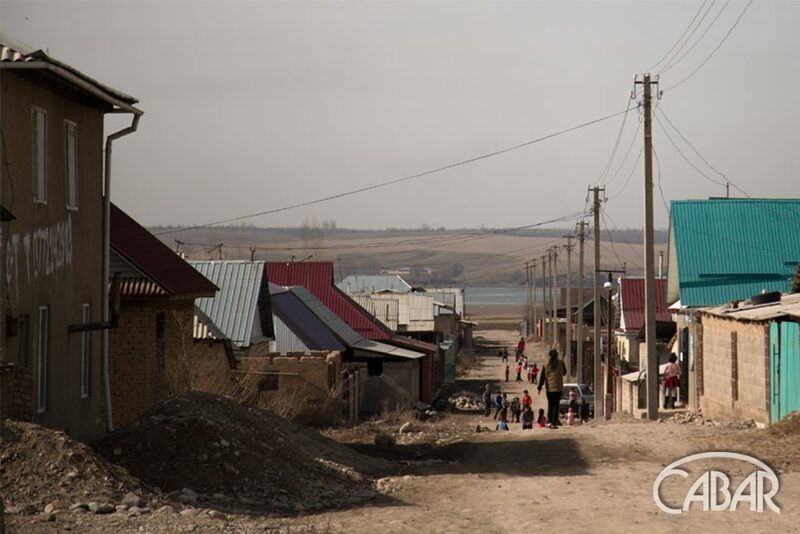 About 500 families live in 21 streets of the settlement. An asphalt main street is full of cracks. 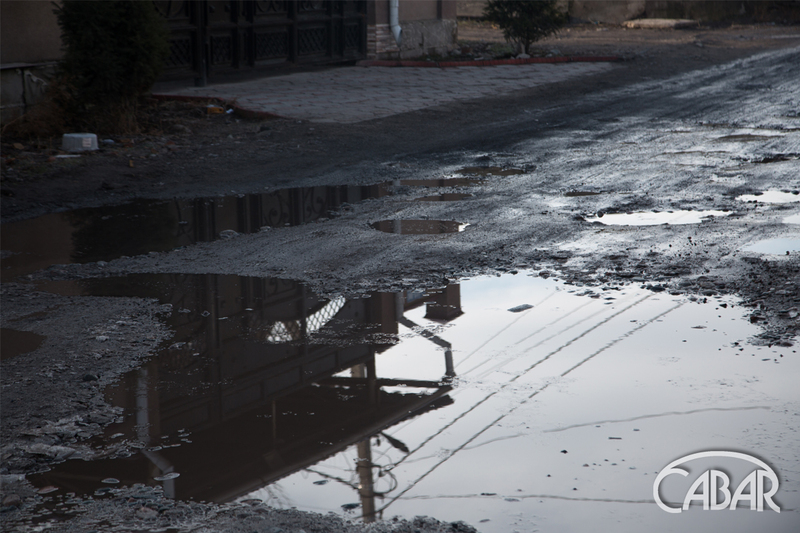 Internal streets covered with sand and pebble turn into a dirty mess in a rainy weather. 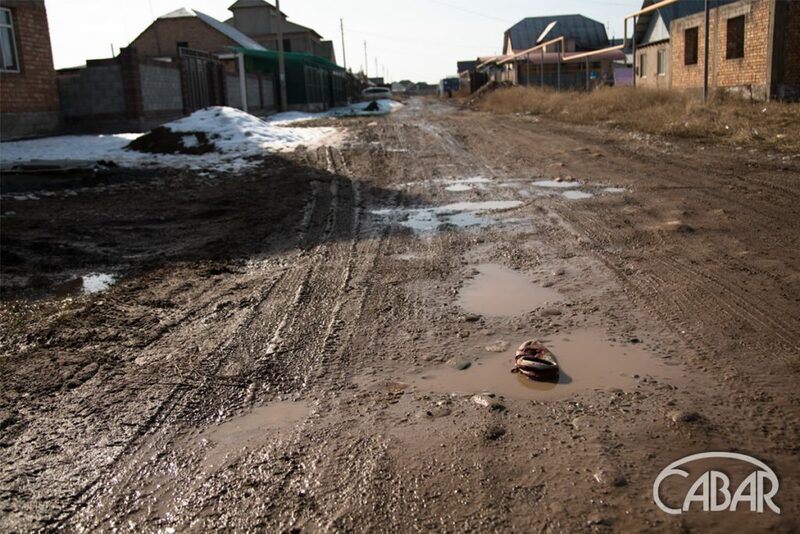 “They say the main street of Ene Sai would be repaired. Last year, other streets were repaired, but only partially. They were not asphalted. The streets are narrow and it’s unsafe to walk on them. They were not repaired for 20 years or so,” a resident of the settlement said. 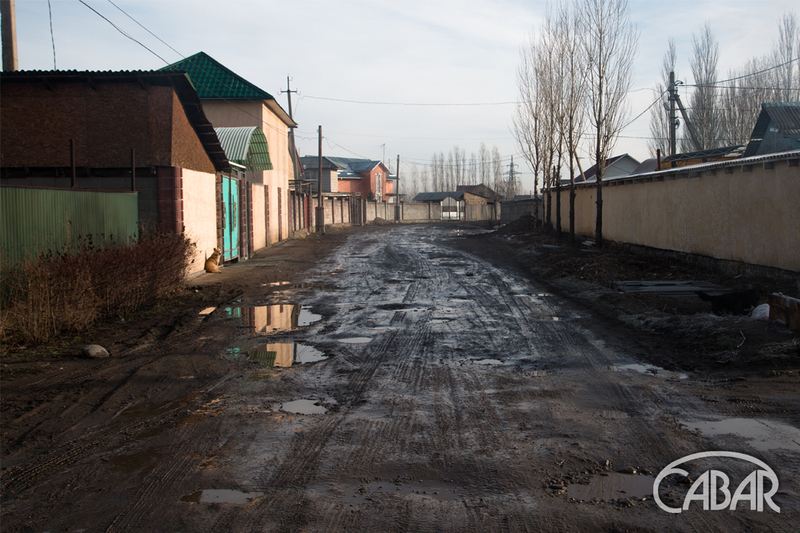 Despite the asphalted main streets in Ak Ordo settlement, internal streets are still made of dust and dirt. Local residents don’t think they would be ever repaired. 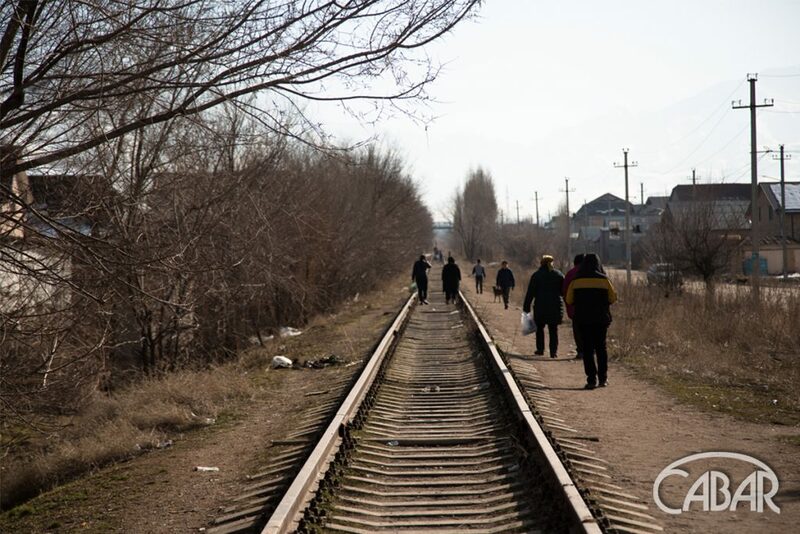 Locals walk on the railway tracks not to get dirty. 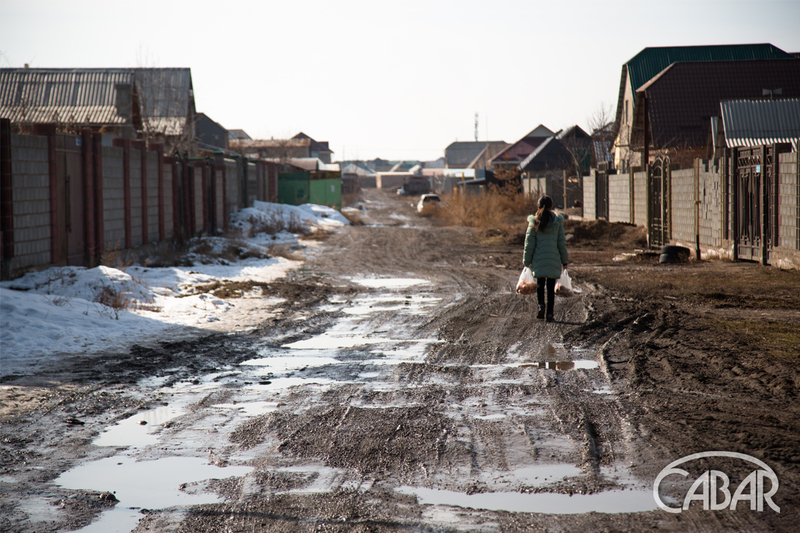 “Internal streets are very bad, and it would be hard to repair them. You see their condition. 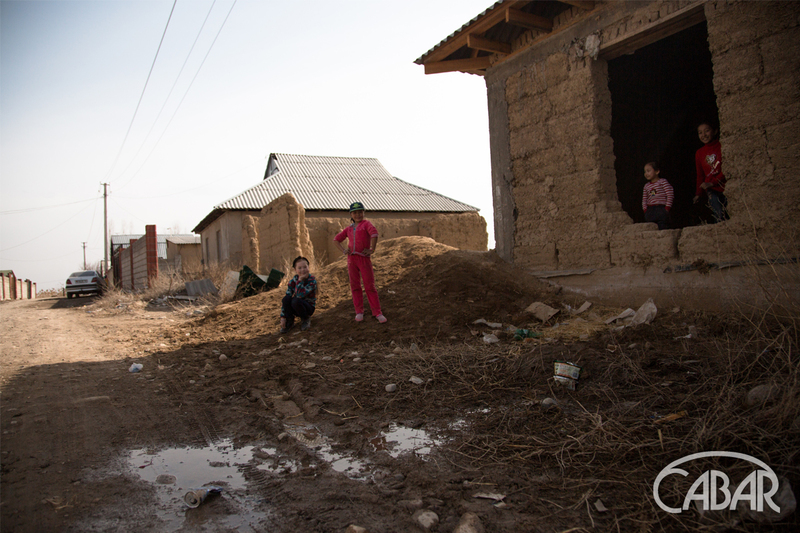 We had to install lights at our own expense,” elderly Munduzbai told us in despair.